This past week I was in my favorite geographical area. Cape Cod, Massachusetts. For those of you unfamiliar with the Cape, it is shaped like the arm of someone flexing his/her biceps. The part of the Cape that I like the best is from the elbow to the fist. That is the wilder, less manicured part, where the sand dunes reign and the plants are scrubby. October is the best time to be there with fewer vacationers and traffic. We did some touristy things, ate fresh delicious seafood, went on an eco-tour on a pontoon boat around Sandy Point, and just relaxed. 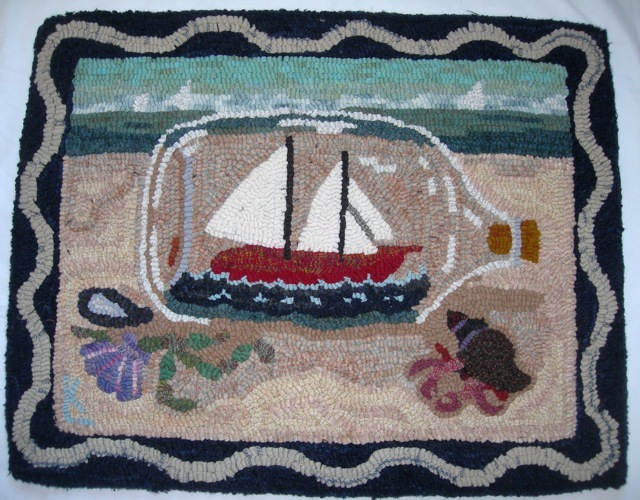 Since this past week didn’t include any rug hooking, I will share some photos from this trip and from a trip a couple of years ago. This week I assume I will get busy designing some new hooking projects. Just let me shake the sand out of my sneakers. 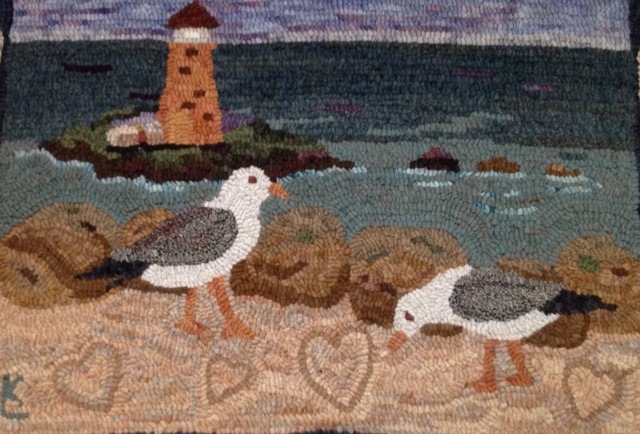 There’s a lot of beauty out there and on Cape Cod. 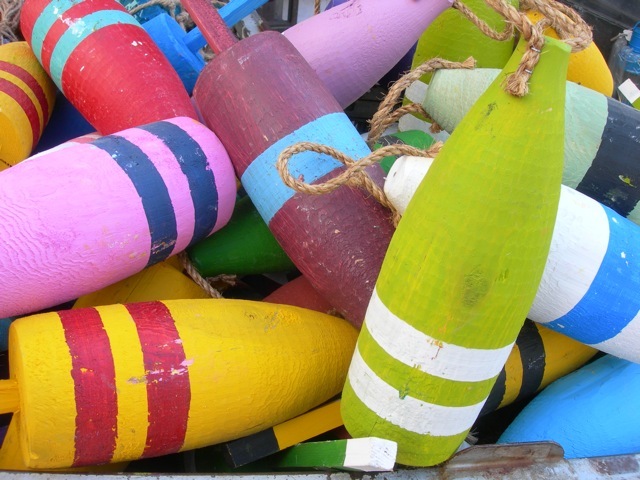 Happy colors on these buoys! More buoys at a lunch stop. Well, probably not rug hooking, but I couldn't resist this sign. 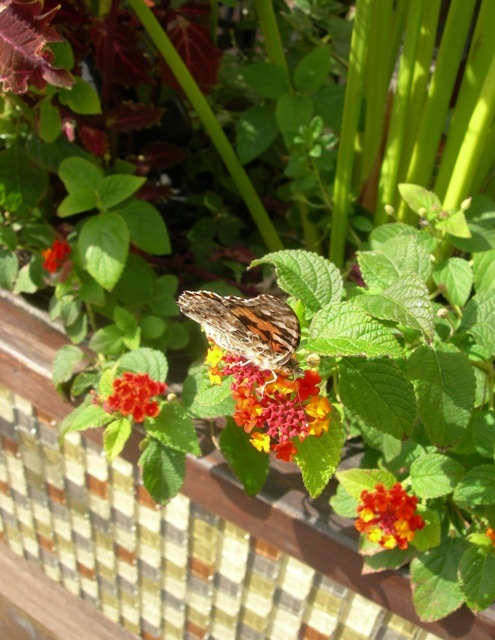 A Provincetown butterfly enjoying lunch. 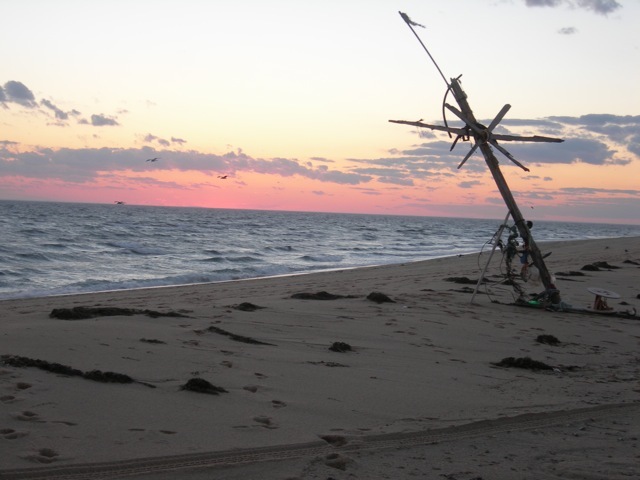 Sunset on Race Point at the curved tip of Cape Cod. Here is where East coast-ers can see the sun set over water. Someone made artwork from scavenged beach detritus. I love this sculpted edge of the beach at low tide. 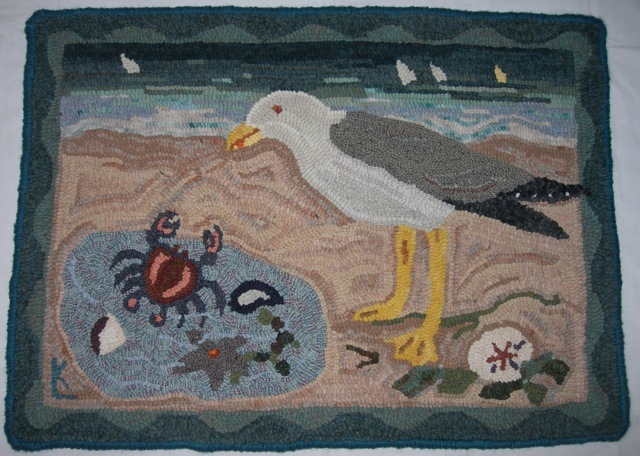 Perhaps this gull is waiting for his meal to wash ashore. 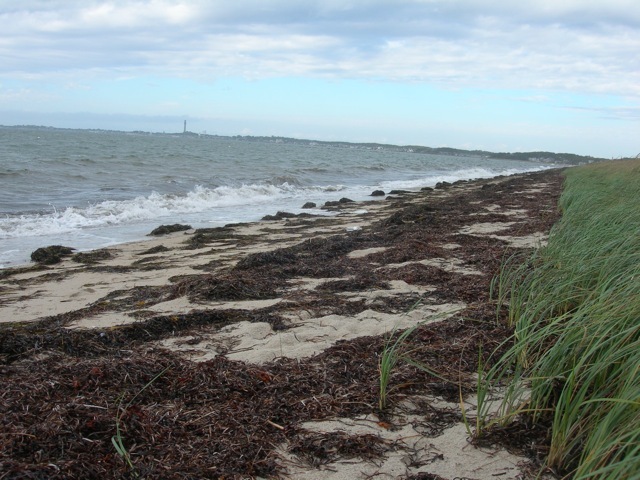 In the distance is Provincetown with its iconic tower.